Learn how to create plan links that you can send directly to your clients. 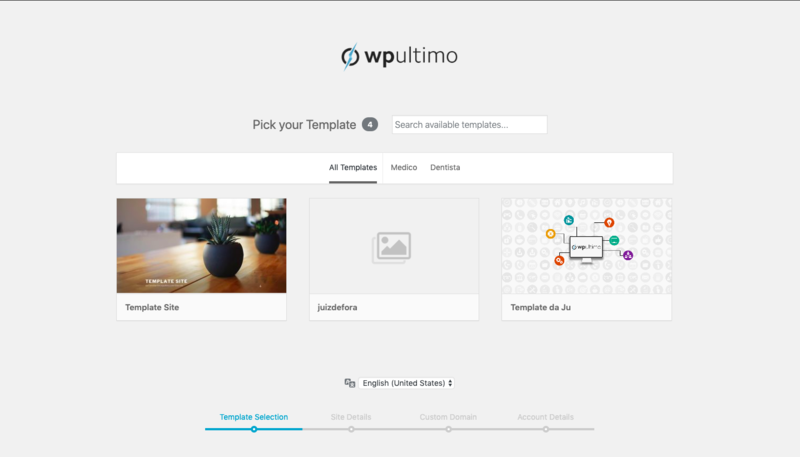 WP Ultimo offers you the option to share plan links directly to your clients. In order to do this, go to any of you plans edit page and click the Click to copy the Shareable Link button. 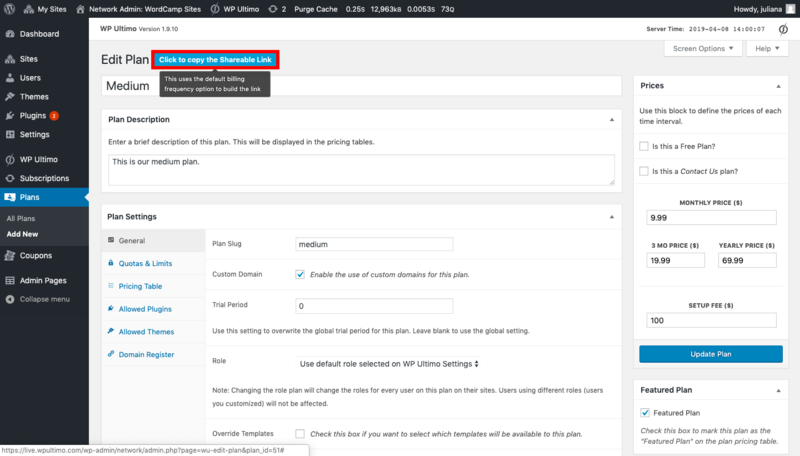 Notice that this mechanism uses the default billing frequency to build the link. This means that if your default billing is anual, for example, in the and, you will have a link like this: network.com/register/12/medium, where 12 represents the yearly billing. If you want to generate links for monthly billing, change this number to 1. And if you want links for quarterly billing, change it to 3. Keep in mind that you can’t have only one link for different billing frequencies. You should share one specific link for each of you billing frequencies. Once you share the link with your customers, it will redirect them to the first step of your signup flow.